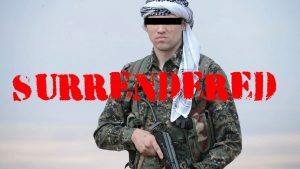 A US Citizen fighting for ISIS in Syria was captured by Kurdish forces on September 14, and chose to surrender. His name has not been released. Now labeled an “enemy combatant”, the next steps of how he’ll be processed are unclear. There are a few possibilities–he could be held in a military facility, at Guantanamo Bay, or held and tried in a US civilian court. Because so many departments–foreign and domestic–are involved in the processing of US-born suspected terrorists caught overseas, there’s never been a fully agreed-upon way to handle them. According to the Pentagon, the man will be detained by US Department of Defense personnel until he’s transferred to back to the United States. Let us know what you think in the comments below and we’ll send you free SEAL Grinder PT stickers! Check out SGPT’s 6-Month Training Program and Get Bada** Training the Right Way! The program comes with a full guarantee that this workout will help you or your money back. Killer workouts all laid out to get you trained to stay not just get in the fight, but stay in it. Questions? Email me any time and I will answer! Hundreds of athletes, male and female have used this program with great results. CLICK ON THE BANNER ABOVE TO GET STARTED! 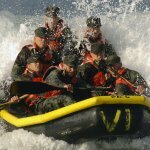 Question: I want to join the Navy and go on to BUD/S, but I have no idea where to start. Where would I go to get information? 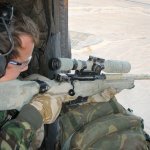 Answer: Check out this article–How Do I Find a SEAL Mentor or Recruiter? Question: Hi–thanks for all your workouts. I’ve been rucking a lot but I’m not sure I’m doing it right because my shoulders and back and feet hurt all the time. Is this something that’s just going to pass? Answer: If you’re new to rucking there can be a period of getting used to it. But also check out this article–Top 10 Ruck Marching Tips. Want to become an even better bada**? Try Athletic Greens. One scoop delivers 11 important superfoods, is chock full of essential vitamins and amino acids and mixes great with protein shakes. Take the recently surrendered enemy combatant to the public square to face the people. Then let him hang for treason. Exactly. Public trial for this mofo. ISIS needs to be wiped off the face of the earth with their terrorist, oppressive beliefs. If you’re caught within the ranks of the enemy, you are a traitor. Any person that fights against America, Canada or any other Western world country earns the right to be tried for treason and punished accordingly. No exceptions. Why is that fucker’s identity identity hidden? How do you surrender after being captured? There’s only one sentence for traitors and the acts of treason. He is a traitor!! Just shoot him for treason and save the tax payers money. Looks like Isis is training for an Antifa march. Bring it on, boys. He gave up his US citizenship the moment he took up arms against us. If he engaged in any form of combat against US troops, then life sentence in federal prison as a traitor, maybe reopen Alcatraz. GTMO Cuba is a resort.